OMNET++ SDN PROJECTS approach to networking that eliminates the complex and static nature of legacy distributed network architectures. This is achieved through the use of a standards-based software abstraction between the network control plane and underlying data forwarding plane, including both physical and virtual devices. A centralized controller and view of the network. Separation of the control plane from the data plane. Programmability of the network by external applications. 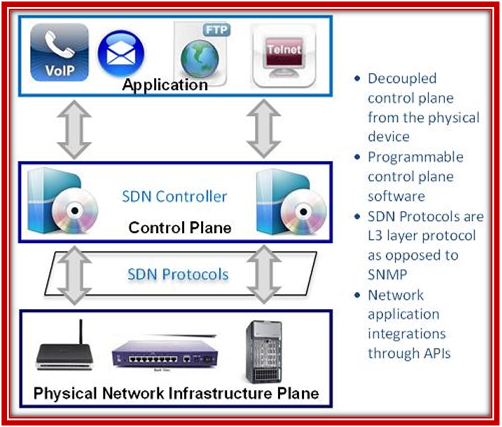 Physical vs virtual networking management.